The hats are used but still in excellent functional and aesthetic conditon. 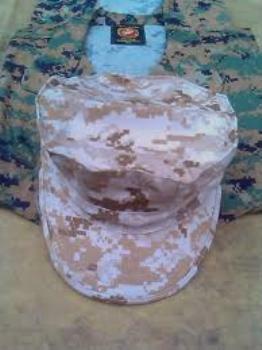 Expect some signs of use like some fading, perhaps a few dirty spots (nothing oppressive or that would render the hat non-functional at the high standards of the USMC). In many cases the hats will have the soldier's name and/or unit number hand written on the inside tag.